Viktor Kožich graduated from the School of General Medicine, Charles University in Prague and obtained board certificates in clinical biochemistry and medical genetics in the General University Hospital. Since graduation he has been working in the Institute of Inherited Metabolic Diseases with the exception of 1991-1992, when he worked as a Research Fellow in the laboratory of Prof.Jan P.Kraus at University of Colorado School of Medicine in Denver, USA. He has a long-term expertise in diagnosing genetic and non-genetic disorders of homocysteine and related B-vitamin metabolism and he is interested in disease mechanisms and development of novel therapies for these disorders. He is also interested in neonatal screening and he is a Chairman of the Czech national Coordination Center on Neonatal Screening. 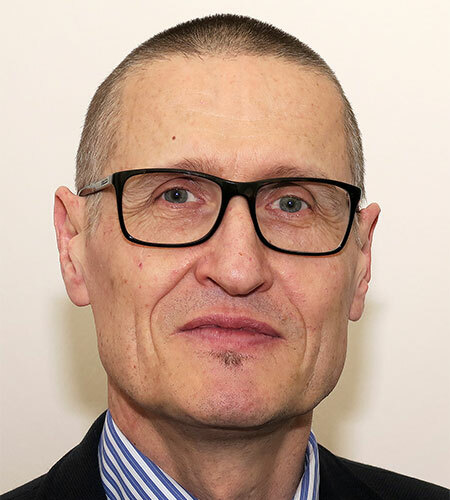 Professor Kožich has been a supervisor of undergraduate and PhD students, he is an author of over 110 publications and chapters in peer reviewed international journals or books. He has been a PI on 16 national and international grants. Prof.Kožich is a member of councils of two international learned societies (ERNDIM and ESHG) and he is active in peer review system at both the national and international levels (he is a Communicating Editor for JIMD and ad hoc reviewer for various journals). Within MetabERN, Prof.Kožich is a representative of the General University Hospital in Prague and leader of Workpackage 3: Evaluation.